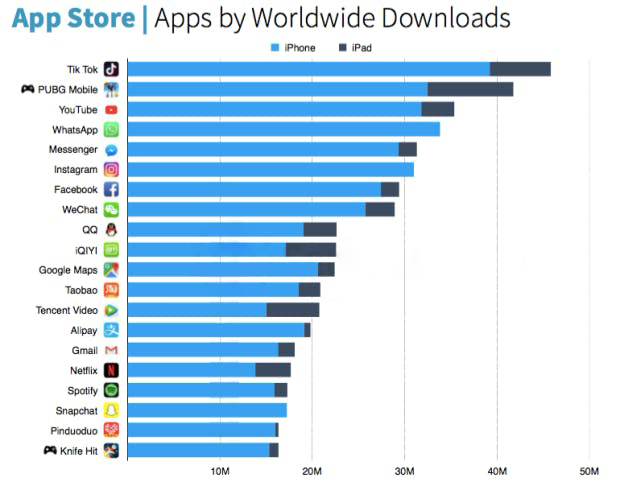 The popularity of video streaming apps has peaked after the inception of the TikTok app. It is a platform where people can share their dance moves, lip-sync to music snippets and share it on the platform. This app gives a creativity boost for people looking for a constructive platform to showcase their talents. Earlier known as Musical.ly, the app was revamped and relaunched as TikTok. This colossal music community has established itself and is one of the world’s fastest growing mobile app. Right now the app has reached a milestone of 150 million daily active users. What can you do in the app? Users mostly lip-sync to favourite songs, create a video and upload on the app. It also allows users to interact with other users. These videos can be spiced up by changing the background or using special filters/effects and funny stickers. This app also enables users to watch millions of videos shared by other users under various relevant categories such as serious videos, funny, informative, creative, and much more. This app also allows to add 100+ face filters and emoji stickers to the video and can be trimmed, cut, merged, and duplicate the video clip. To recreate this success formula, numerous entrepreneurs have turned to develop a TikTok clone app. 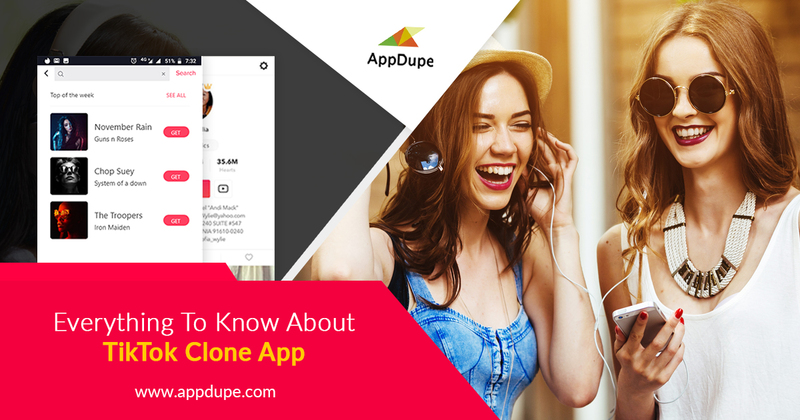 Clone apps are a skeletal framework of the original app, and they can be customised extensively. Entrepreneurs can create any other video-sharing app like Musical.ly clone app or Dubsmash clone app with the needed features and customise it with the required specifications. According to the U.S Research firm, Sensor Tower, the revenue for TikTok has tripled over 275% from 2017. The largest market for TikTok is Asia and making various viral trends across the continent. 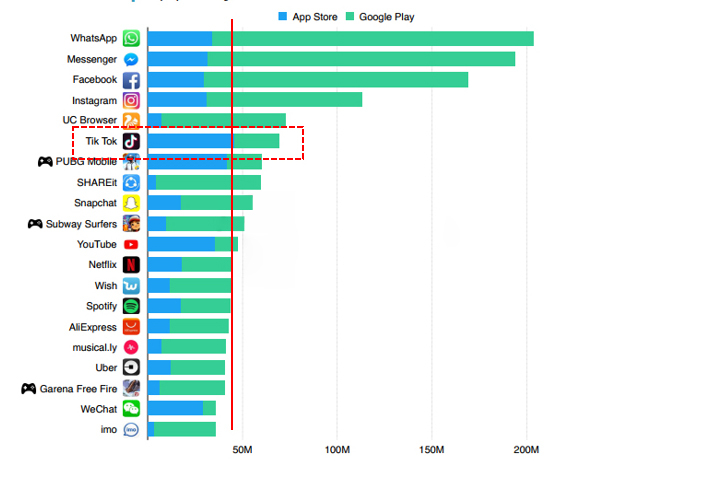 TikTok was downloaded for 45.8 million times during the first quarter of 2018 and presently holds the sixth most downloaded app in both PlayStore and AppStore. The app’s sole success lies in providing a simple user interface to the users without creating any hassles. The app has to be user-friendly and practical. The home feed of the app will list a few videos that are new and trending. There is a separate section that contains recommendations specified for each user regarding the video that they are currently viewing. There are various tools available in the app like TikTok along with Augmented Reality effects and much more. These effects are eye-catching and are easy to use so that users can make full use of it. The special effects include dancing along with hip hop songs, hair dying, 3D sticker and props. As the app lets users interact with each other, Duets is one exciting social feature that allows a user to record lip-sync a particular video and upload it. The other TikTok clone app users can scan the popular #Duetwithmehashtag and add their video to the existing one. An app like TikTok allows its users to use their original sound while creating the video. This enables the user to showcase the full potential. The never-ending massive music available in the library for the users to lip-sync or dance to. The app enables the users to share the videos on multiple social media platforms to reach a broader range of audience. They can also post on Facebook or Instagram to increase their popularity. The above list encompasses the list of alluring features to be integrated into the TikTok clone app. As an entrepreneur, you can customise the app however you need. Choose on the reputed clone app development company to develop the app and rake in profits.